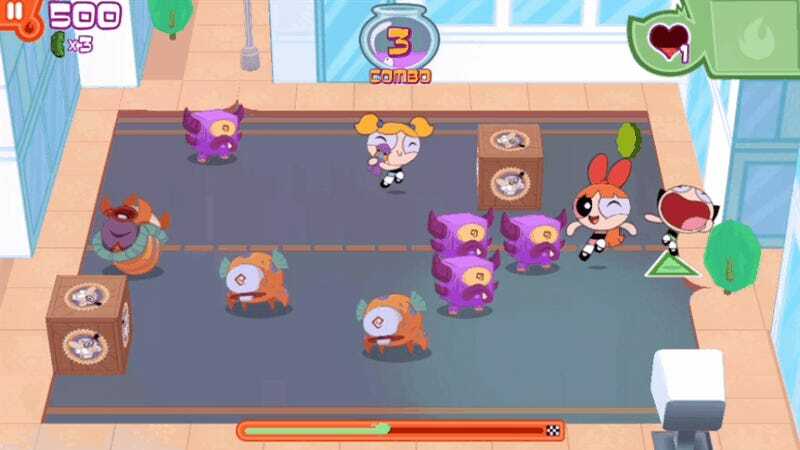 Sugar, spice and an interesting game-shifting device is what Cartoon Network and developer Grumpyface put into Powerpuff Girls Flipped Out, the mobile side of this year’s big relaunch. In landscape mode Flipped Out is a tactical brawler. Players move Bubbles, Buttercup and Blossom about the screen by taping and swiping. They’ll auto-attack whichever monster they are near, but it’s up to the player to figure out which to attack and whether to gang up on one or spread their cute and colorful forces thin. Turn your phone around into portrait mode and the game becomes something a little different. Now it’s a puzzle game. Swipe the girls towards their enemies and toss them at other enemies to match up groups of three or more. The switching back and forth is nearly instantaneous and very cool. It also has an affect on gameplay beyond the genre-swapping—defeated characters will stand up and fight again, power-ups (doled out in sticker form) change properties with perspective. Some enemies can only be defeated if you swap them about first. It sounds a little confusing. It can be. Watch me play. I’m impressed! I’ve been playing mobile games since they were a thing and I cannot recall one that used screen rotation in this manner. Of course now that I say it someone is going to hit the comments with 20 different examples, but for now I enjoy the relative novelty. As cartoon tie-ins go, this one’s pretty great. It features voiceover work from the same folks responsible for the new show (though I would have preferred the original trio), and the whole vibe is carefree, fun and mildly menacing, just as it should be. 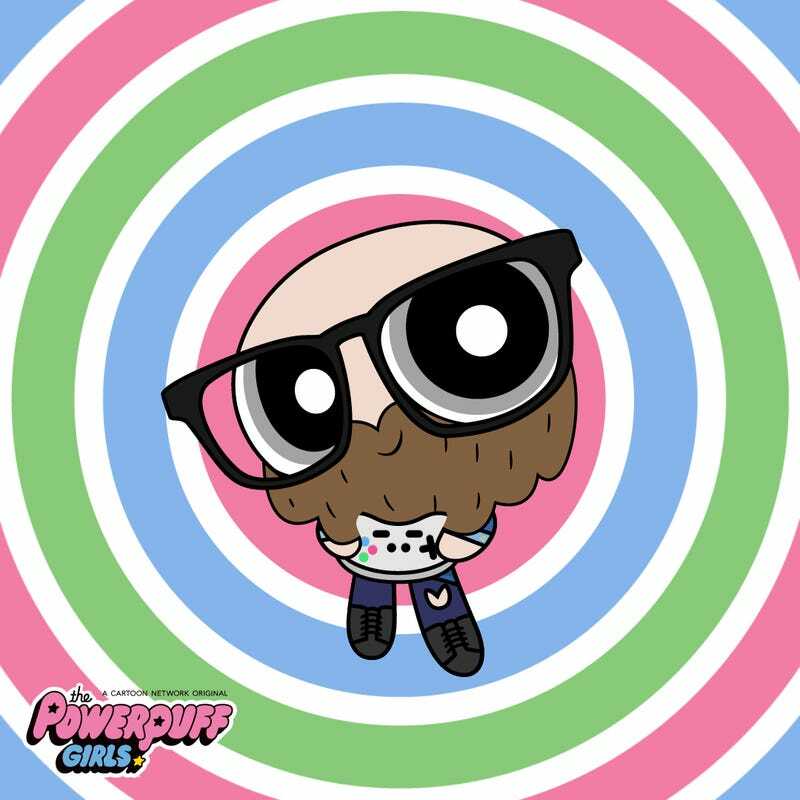 Powerpuff Girls Flipped Out is now available for iOS for $2.99. The Android version is coming soon. The new cartoon premieres Monday, April 4, but I am trying not to think about that lest I die of anticipation.